88 • Meadowcroft 2015 Pinot Noir, Los Carneros, Napa Valley 13.8% (USA) $38.00. 89 • Meadowcroft 2015 Pinot Noir, Russian River Valley 13.8% (USA) $38.00. 88 • Meadowcroft 2015 Pinot Noir, Sonoma Coast 13.8% (USA) $38.00. 92 • Meadowcroft 2013 Zinfandel, Dry Creek Valley 15% (USA) $38.00. 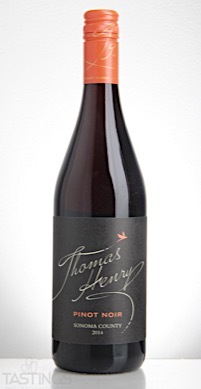 92 • Thomas Henry Wines 2014 Pinot Noir, Sonoma County 13.5% (USA) $15.00. 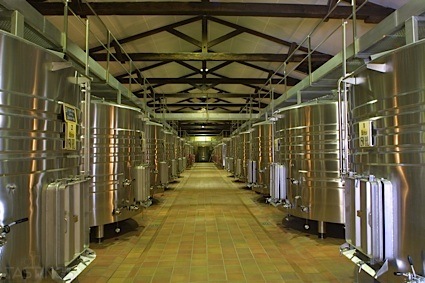 Thomas Henry Wines 2014 Pinot Noir, Sonoma County rating was calculated by tastings.com to be 92 points out of 100 on 3/7/2017. Please note that MSRP may have changed since the date of our review.